While there have been reports that Ajith would star in a film that is to be directed by Gautham Menon, a new buzz seems to be making rounds in Kollywood. 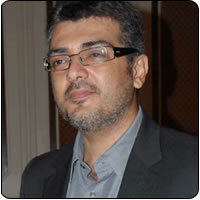 Ajith, it is being said, is gearing up to participate in the Formula 2 car race that is scheduled to begin in April 2010 in Europe. This Formula 2 will go on till the month of October. This news has given rise to the speculation that the Gautham-Ajith venture is put on hold. Yet another gossip that we hear is that Gautham is keen on donning the director’s cap for another venture.